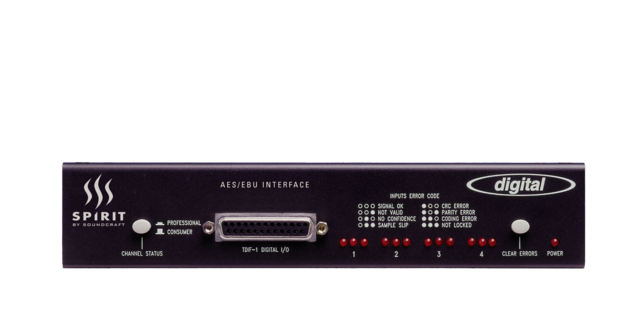 The AES/ EBU interface converts the digital TDIF port on the rear of all Soundcraft Digital consoles into 4 AES/EBU inputs and outputs. Users of systems such as Digidesign Pro Tools ™ can now interface directly with Soundcraft digital consoles. 8 outputs can be fed to units with AES/EBU Inputs. 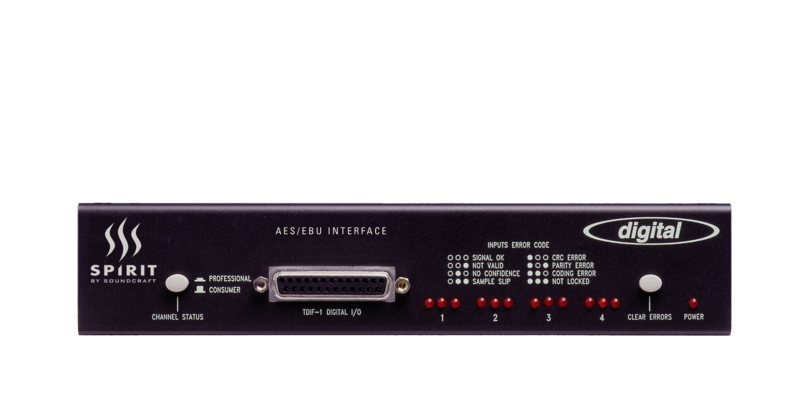 The Interface requires 1U half rack space, and is shipped with power supply.